10. Canada is a mining superpower in Africa. With mines in 35 countries, Canadian companies operate hundreds of mineral projects across the continent. 9. 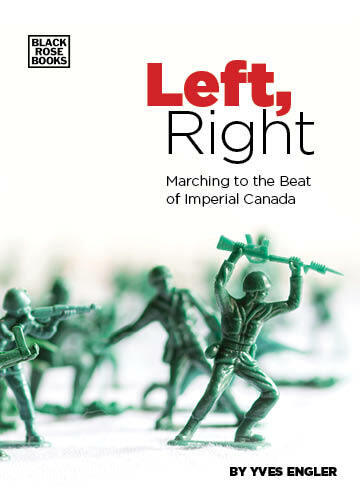 Canada trained the army command that overthrew Ghanaian independence leader Kwame Nkrumah and Canada’s high commissioner privately celebrated the coup. 8. A Canadian led the expedition to conquer the Katanga region of the Congo on behalf of Belgian King Leopold II. 7. In exchange for land near present-day Harare a Canadian missionary organized health services for Cecil Rhodes’ army that conquered Zimbabwe. 6. Canadian military officials were complicit in the killing of Congolese independence leader Patrice Lumumba. 5. An Ottawa-based consulting firm has overseen the privatization of tens of billions of dollars in public African infrastructure. 4. Much of Atlantic Canada’s early wealth was generated from feeding Caribbean slave plantations. 3. A Canadian intelligence officer/diplomat led the Nairobi police force that arrested Kenya’s future president and violently suppressed the Mau Mau independence movement in the 1950s. 2. Canadians rose to become governors of colonial-era Ghana, Kenya and Northern Nigeria. And the No. 1 thing that you didn’t know about Canada in Africa is: Tens of thousands of Africans have protested Canadian corporate behaviour across the continent where 45% of people live on less than a dollar a day. Yves Engler’s new book Canada in Africa — 300 years of Aid and Exploitation is the first critical overview of Canadian policy towards the continent. It documents Canadian involvement in the transatlantic slave trade, “scramble for Africa”, missionary movement and European colonialism as well as Ottawa’s opposition to anticolonial struggles and promotion of neoliberal economic prescriptions, which have benefited Canadian mining companies that have bought up much of the continent’s mineral resources, but are often bitterly resisted by local communities.